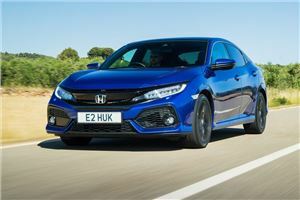 If you're looking for a new car on a PCP, have a look at our pick of the best PCP deals on everything from city runabouts to SUVs. One car that certainly needs no justification, the Fiesta has been the best small hatchback through several iterations as well as being the best-selling car in the UK for over a decade. This deal currently on offer from Ford comes in Zetec trim and with the excellent 1.0-litre Ecoboost engine plus a very low APR. No car in the Skoda range sums up the brand better than the Superb. It is hugely spacious, comfortable, well-equipped, well built and discreetly stylish, and sensibly priced too. This deal includes a deposit contribution larger than the customer deposit at £3000. The latest Kia Ceed drives better than ever and represents excellent value for money. This special Blue Edition comes with the appealing 1.4-litre turbocharged engine. 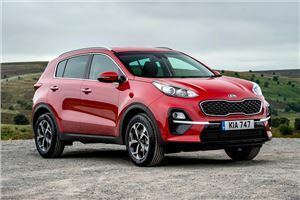 Although this deal has a relatively high excess mileage charge at 9p per mile there is a £1500 Kia deposit contribution. Toyota’s Aygo has always been a first-class city car, pairing the super-low running costs with big car quality and plenty of tech. This x-trend model looks the part too with 15-inch alloy wheels while inside there’s a 7-inch touchscreen with Bluetooth. Currently Toyota offers a mix of deals on the Aygo all at 0 per cent APR. It might benefit from plenty of the latest tech but the Insignia Sports Tourer has a pleasing old-school approach to a big estate car, and is all the better for it. The load bay is the most important thing and the Sports Tourer has tons of space. Vauxhall’s deposit contribution is a modest £750 but it backs this up with reasonable APR. The Mazda MX-5 is a genuine sports car right down to its bones, which makes it even more remarkable that it is currently available with such an attractive deal. This 132PS SE+ version comes with a £2000 Mazda deposit contribution to give a low monthly payment of just £199. 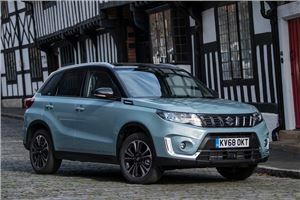 The Vitara was facelifted last year but the biggest changes came under the bonnet with the introduction of new engines including the impressive 1.0 BoosterJet. This deal requires no deposit and has zero per cent APR. Go for the SZ4 and it drops the monthly, but the SZ-T gets much more equipment.